Marian, just a few words to say thank you for all the help in selling No 2 The Grosvenor. It was very much appreciated. Regards Lorraine Bogan - former owner 59 Elm Mount Ave - Beaumont Dublin 9. Hi Paul, All went smoothly so well done and thank you for all your input and communication over the last 6 months in selling our home. Noreen Abbott – Former owner of 4 Weston Road, Churchtown. 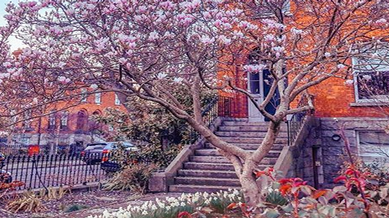 We are delighted with the service provided by Clodagh Murphy and Quillsen when selling our home in Ranelagh recently. M O'Connor - Former owner of 24 Rosevale, Raheny. We would like to thank Kathy Crowe for all of her help, support and patience over the past few months. Find all the tips and secrets to help sell your property. Thinking of Selling? Click here for a Free Appraisal.